Every year we try and do something different with the "back to school" photo and this year Lee gave each of the kids some of the foam numbers/letters from the bath! I have to say that I was doing very well that morning, until I saw the letters Alex was holding and then the tears started to well up.... Not quite so hard as I make out! Nicholas in Year 4 is my concern this year, as he has a lot of "challenging" children in his class and that's the nice way of saying it. 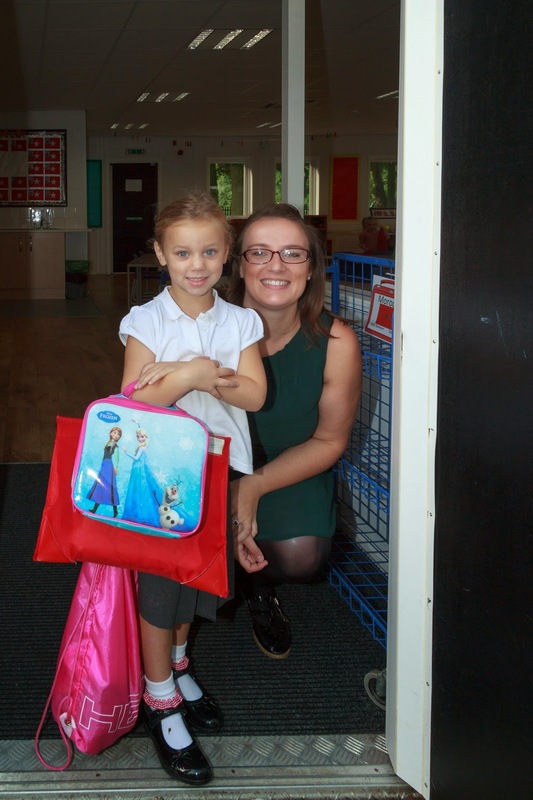 Miss Gibbons (a new teacher for us Butler's) seems really nice so I'm hoping he'll be okay..
And as for my little lady, Cassandra, now in Year 1 of KS1, she has Miss Newham and knows all the other children in her class and they all went up as a whole class.. I'm hoping that she too will thrive.